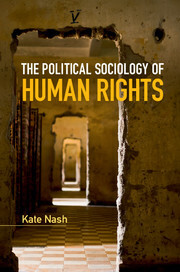 This series of textbooks surveys key topics in the study of sociology. Books cover the main theoretical and empirical aspects of each topic in a clear, concise but sophisticated style, and relate the topic to wider sociological debates. Titles are useful to undergraduates studying a first course on the topic, as well as graduates approaching the subject for the first time. Designed for ease of use, instructors may teach from individual books, or select a collection from the series for a broader sociology course.